Purchasing a car can be difficult for many consumers due to how expensive cars can be. Regardless of whether the car is new or used, it can be exceedingly challenging to come up with the proper funding to obtain the car that you want or need. 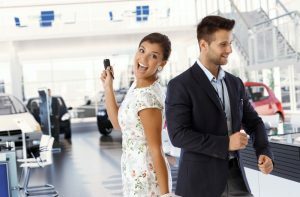 This is precisely why many consumers opt to use auto financing as an option to be able to afford their purchase. That being said, auto financing requires having reliable credit, which many individuals do not have. If you are located in the Forestville area, consider reaching out to Expert Auto relating to auto financing & loans in Forestville. By choosing to work with Expert Auto, you can be certain that you will find the right auto financing option for your individual fiscal needs. At Expert Auto, we strive to ensure that our customers fully understand the financial obligation that they will be incurring if they take on auto financing. We additionally perform an assessment in order to see whether the customer is ready to take out the kind of auto financing that they are applying for. We find that this prepares our customers adequately for the obligations that they will take on by obtaining financing. In order to learn more about Expert Auto and our reliable auto financing & loans in Forestville, it is recommended to contact us today by dialing (866)429-0970. Once you reach out to Expert Auto and our team of qualified specialists, you will quickly see that you have made the right choice for your upcoming auto financing transaction. Thus, do not hesitate to schedule a consultation appointment with us today. We would be thrilled to assist you with your upcoming auto financing transaction.